January is not a time for drastic changes, but it is a good time to make a few adjustments to your grooming and skincare routine, switching things up for the colder weather to come. 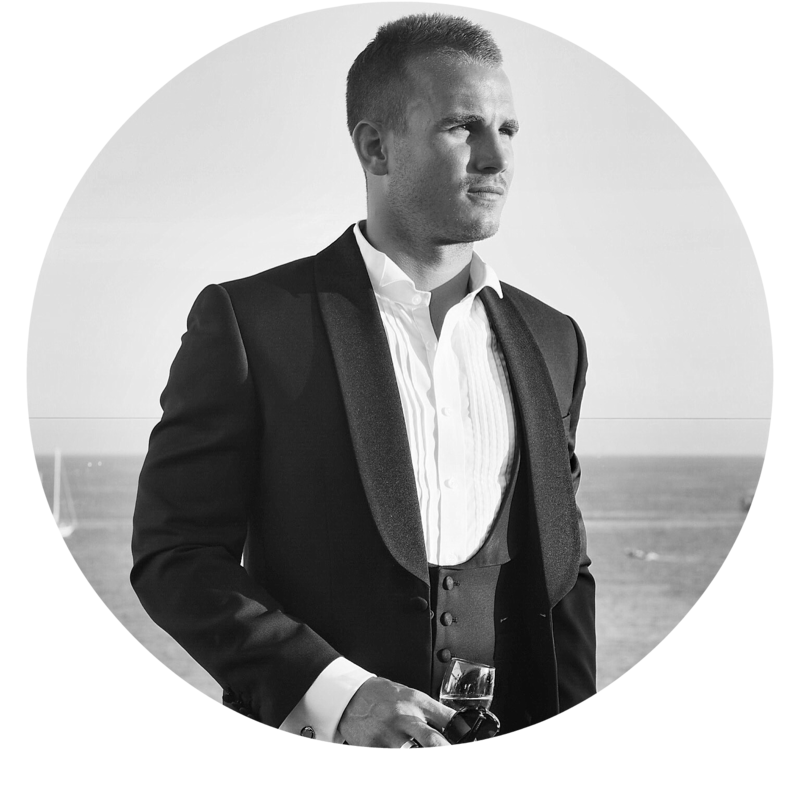 The weather can play a huge part in our lives and it’s impact shouldn’t be underestimated when it comes to grooming and specifically skincare. Harsher temperatures can play havoc with the skin on your face and it’s crucial you make some much needed changes to counteract the ice cold winds and increased exposure to heating. If you’ve read my blog before you will know I’m a big advocate of exfoliating and particularly when it comes to the skin on your face. 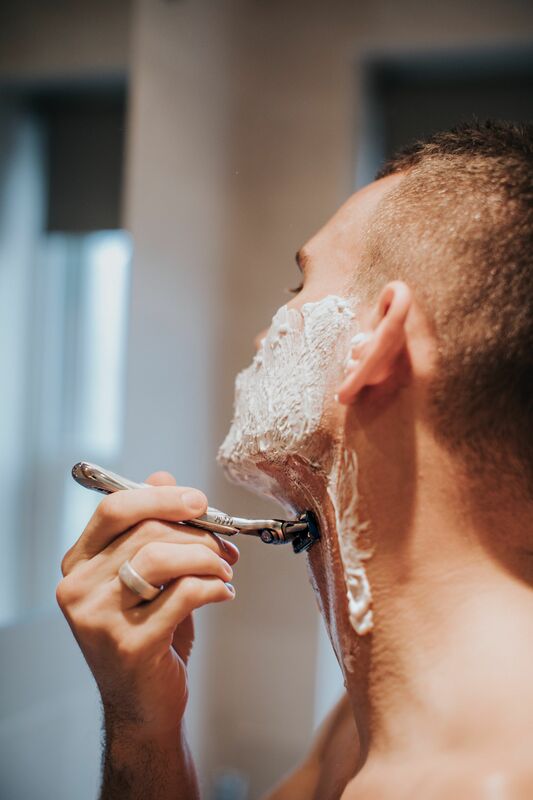 A decent face scrub is an important part of your skincare armoury for 2019, something to really get to the grime and help rid your face of any dead skin cells, helping regeneration, avoiding the dreaded ingrown hairs and raising hair follicles ready for the ultimate clean shave. If you add any new ‘step’ into your current grooming routine this year, make it exfoliating! 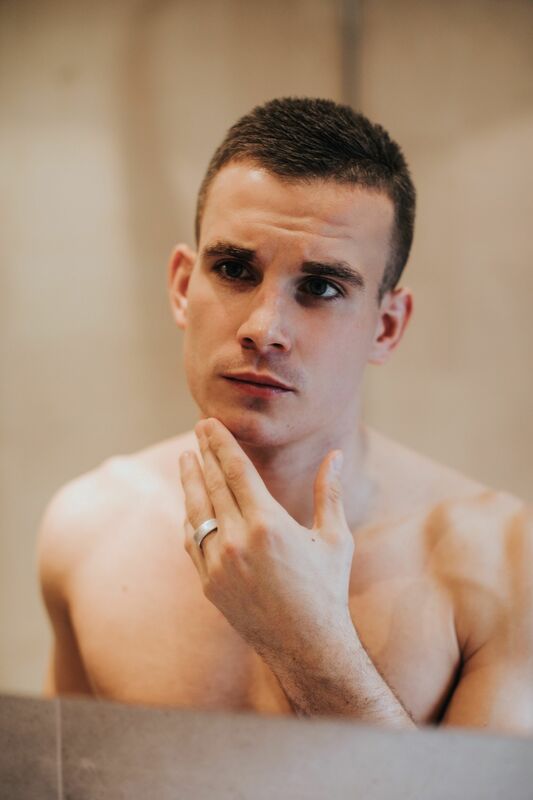 I like to mix it up when it comes to my facial hair, in the Summer I often let things grow a little longer but when it comes to the colder months there is no better feeling than a clean shaven look. 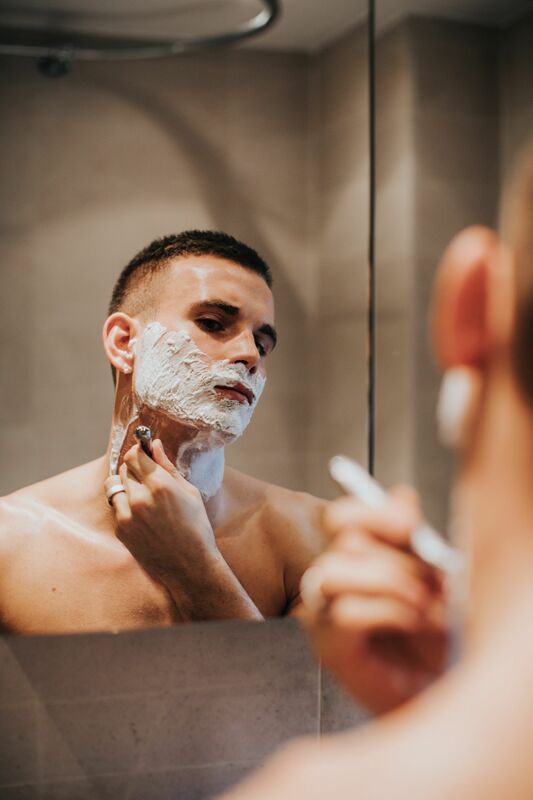 Wet shaving during Winter is generally better for your skin, a beard can get in the way of your moisturiser and stop absorption, plus the clean shaven look is very much back IN for 2019. 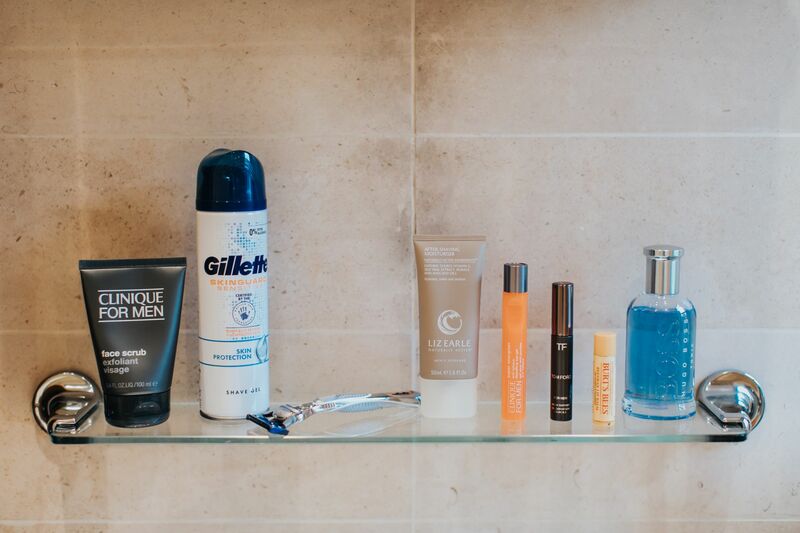 It’s always important to remember that we all have very different skin types and thus there’s no ‘one product fits all’ when it comes to your razor and shave gel. If you have sensitive skin like me, the newly launched Gillette SkinGuard Range is an absolute game-changer. 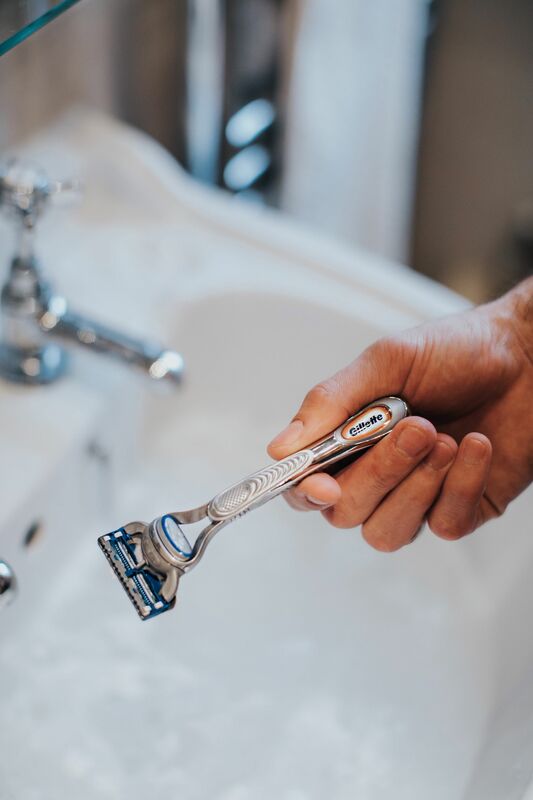 Specifically designed for those of us that struggle with post-shave redness and shave bumps, the innovative new blade features a unique guard bar in between the blades. 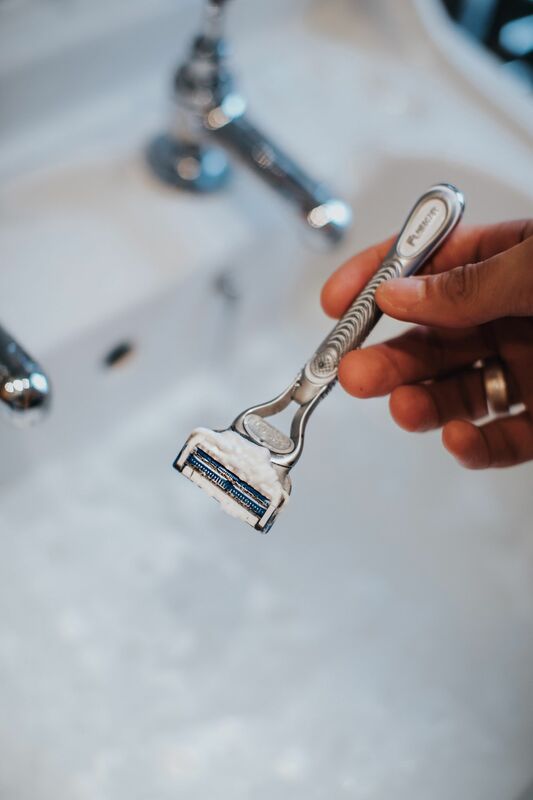 This bar helps gently smooth and flatten the skin as you shave, reducing any skin tug and ultimately providing a much more comfortable shaving experience. By creating a thick, soothing cushion, the Gillette Hydra SkinGuard Gel helps protect you from any shaving trauma, while the alo vera instantly soothes the area and makes the whole process a whole lot more comfortable. This new gel features zero alcohol, which is a huge plus as alcohol in skincare often dehydrates the skin and can cause redness. Shop the newly launched Gillette SkinGuard Range here. A decent moisturiser is crucial during the colder months and even more important after shaving when the skin will be crying out for something hydrating. Look for a lightweight and gel based product if you’ve got oily, sensitive skin like me or something a bit heavier and creamier if you have very dry skin. Do you have wrinkles, fine lines or puffiness that you could swear weren’t there the last time you looked? Eye cream or gel is the answer. I used to get laughed at in the rugby changing room when I used an eye gel after games, but it really works in hydrating that sensitive area and no one wants eye bags. I prefer gels for reducing puffiness (ideal after a late one) and creams for all round moisture of the area. How will you be switching things up this January? *Shop the newly launched Gillette SkinGuard Range here. 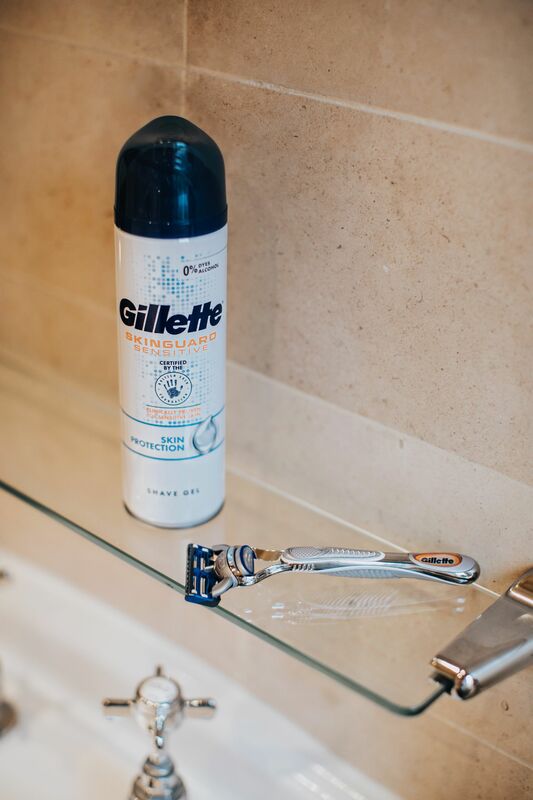 **This Blog Post was written in collaboration with Gillette UK for the promotion of the newly launched Gillette SkinGuard, however all thoughts and views expressed are very much my own. Next Post It’s Officially Shearling Season!